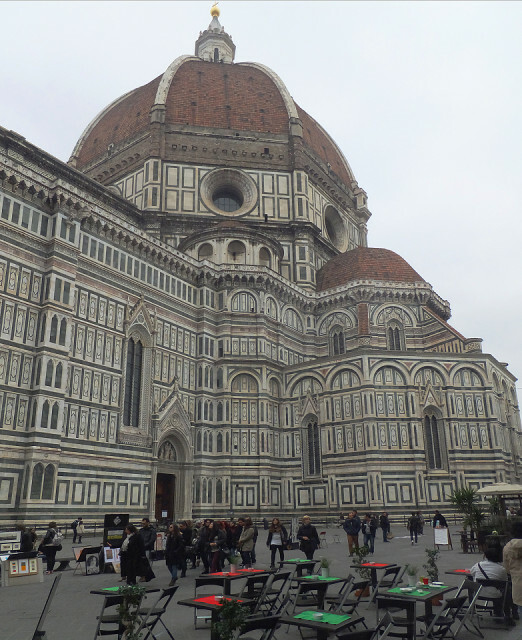 This is a side view of the incredible early Renaissance cathedral in Florence. We arrived late yesterday, and it was part of today's morning walk. Over midday we had a marvelous guided tour of the Convento di San Marco, featuring Fra Angelico's works. And in the afternoon we visited I Tatti, the villa near Florence where the great historian of Renaissance art Bernard Berenson lived. A wonderful day.